Jayne has been our office manager since 1993. She earned her Bachelor's degree from the University of Central Oklahoma. 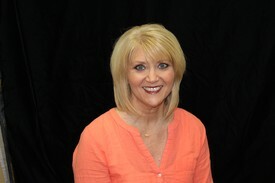 Jayne is committed to being sure our patients receive the best dental care in a fun, pleasant environment. She helps our staff to ensure that each patient is comfortable and pleased with their visits. Jayne says this really isn't that hard since her co-workers are all such kind and wonderful people and are truly more like family. She takes pride in the fact that most of our new patients come from referrals of current patients, current and previous employees and peers in our community. Jayne has been married for 37 years and has 3 married children, 5 grandsons, and 2 granddaughters. In her spare time she enjoys spending time at the lake with her family. 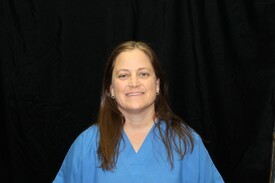 Candita has been a dental assistant for ten years, thankfully five of them have been with us. She graduated from Santa Fe High School and went to Francis Tuttle Dental Assisting program. She has been accepted to Rose States' dental hygiene program and will start in the fall. She enjoys getting to know her patients and making sure their treatment is comfortable and efficient. Candita's beautiful daughter Zoey is currently attending school at Heritage Elementary in Edmond. They have a beloved hamster named Jingles. Candita spent most of her childhood in Poteau, Oklahoma......Poteau's claim to fame is Cavanal, the tallest hill in the world! She moved to Edmond in 1991. Most of her family still lives in Southeastern Oklahoma so she frequently returns to visit Talimena Drive! 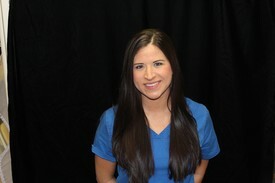 Erin is one of our dental assistants. She has over 12 years of experience and has earned several dental certifications throughout this time. She was born and raised in Oklahoma City. Erin is a PC North graduate and also graduated from OSU-OKC with an Associates Degree in Health Care Management. She began working for EDA in August, 2005. Erin is newly married to her husband Matt and they live in OKC with her 5 yr old daughter Ella who has just started kindergarten. 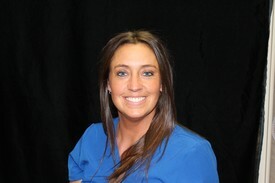 Erin enjoys helping our patients and enjoys seeing them leave with a happy and healthy smile. She feels getting to know her patients is the part is the best part of her job and being able to help people is an amazing thing. "Erin says our office is so blessed with great patients, 2 great doctors, Dr. Ralph and Dr. Vince and an amazing staff to work with. Dentistry has given me the opportunity to do what I love, and that is being able to help people." Erin enjoys spending her free time with Matt and Ella and their families. They enjoy going to the movies, spending time at the lake, swimming and watching American Ninja Warrior. Kathleen started working at our office in 2014. 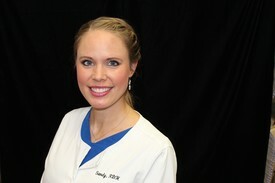 She started in the dental field as a dental assistant in Norman after attending OU. After moving back from Hawaii, she was an office manager and has been working in the front office here in Edmond ever since. Her goal at our office is to make every patient feel welcomed like family and to let them know that they are valued. Kathleen grew up as a military brat living in Europe, Asia and throughout the U.S. She and her son Ryan moved here from Honolulu, Hawaii to be close to her family in Edmond. Kathleen values her faith, family and friends above all else. Her pride and joy is her son Ryan, who is studying at OU Medical School. Kathleen has 2 pets, a golden retriever and a cat. She loves cheering on the OU Sooners and of course our Thunder team! 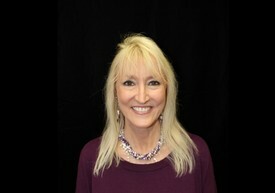 Jeannie grew up in a military family, moving all over the United States and Guam, before landing in OKC. She has been serving patients in the dental field for many years! After attending Dental Assisting School in OKC, she worked as a Dental Assistant, Orthodontic Assistant, Treatment Coordinator, Business Manager and now at the front desk greeting our patients. She has been helping our patients to feel at ease as we take care of their dental needs since starting here in 2014. She really enjoys our patients, building lasting relationships while taking care of their insurance questions, answering the phone and any other needs they may have to make their visit more pleasant. Jeannie stays busy serving with her husband, Kurt, Associate Pastor of WRBC. There she helps with the music ministry and teaches a small group Bible Study for Young Adults. She has two grown children who are married. She loves spending time with her family and of course her little doggie, Belle. Her biggest blessing is her precious granddaughter, Ellie Ann that brings her so much joy! Sandy, a hygienist, was welcomed onto our team in April, 2016. She has quickly settled in with many favorable comments from her patients. Sandy is a born and raised Oklahoma girl. She grew up in Tulsa, but moved to Edmond to attend UCO and has lived here since 1998. After achieving her bachelor's degree from UCO, she attended Rose State College for her associates degree in Dental Hygiene where she was respected by faculty and fellow students for her excellent clinical skills. She and her husband have two beautiful daughters. They love spending time together as a family going on walks with their 3 dogs. Sandy and her husband are volunteer coaches for their daughters' volleyball and softball teams through the YMCA. She volunteers with her daughter's Girl Scout Troop. She is also an avid OKC Thunder fan and likes watching college football. 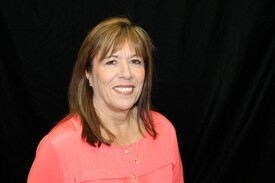 Sandy enjoys spending time with and getting to know her patients while providing them with a gentle and caring dental experience. If you have questions and concerns about your dental health, Sandy will gladly listen to and address your individual concerns. 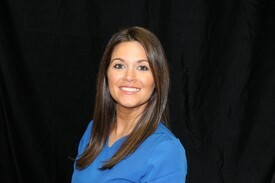 Jennifer (Jennie) Graham is our third registered dental hygienist who grew up in Stillwater, OK. She studied Nutritional Sciences at Oklahoma State University the four years prior to her acceptance to the University of Oklahoma’s Dental Hygiene program. Although she is a Cowgirl at heart, she cheers on the Sooners when it’s not bedlam. (GO POKES!) She has a kitten named Lily and loves to spend her spare moments with family and friends. Oddly enough, Jennie’s background in dental health does not assist her inavoiding sweets. She loves all things chocolate! She is currently following the HGTV trend and flipping her older home in OKC, so any homeowners advice is accepted in her dental chair. Patty started her dental assisting career back in 1998. She has worked in Pediatrics, General Dentistry and Orthodontic offices. She worked for Dr. Ralph many years ago and is excited to be apart of the Willcox team again. Her two teenage children and her husband are very busy. Family time is spent camping, hiking and playing with their three dogs, Buddy, Maggie, Chip and Dot the Harris Hawk. 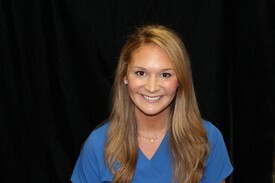 Jillian Clark is one of our dental hygienist! After moving from Texas, she has made a smooth transition to the Oklahoman life. Jillian has been in the dental environment for all of her life. Her father is a dentist back in Crockett, Tx where she grew up. She was a dental assistant before she became a dental Hygienist. She attended Dental Hygiene school at Tyler Junior college in Tyler, Tx. She's been out of school 5 years and enjoys taking care of her patients in the best, comfortable way possible. Jillian is recently married and enjoying all the new adventures that life has thrown her way!! Her and her husband have two miniature Australian Sheppard's, Quincy and Tessa, which are their babies for now! They love spending time outside and doing things around their recently purchased home.